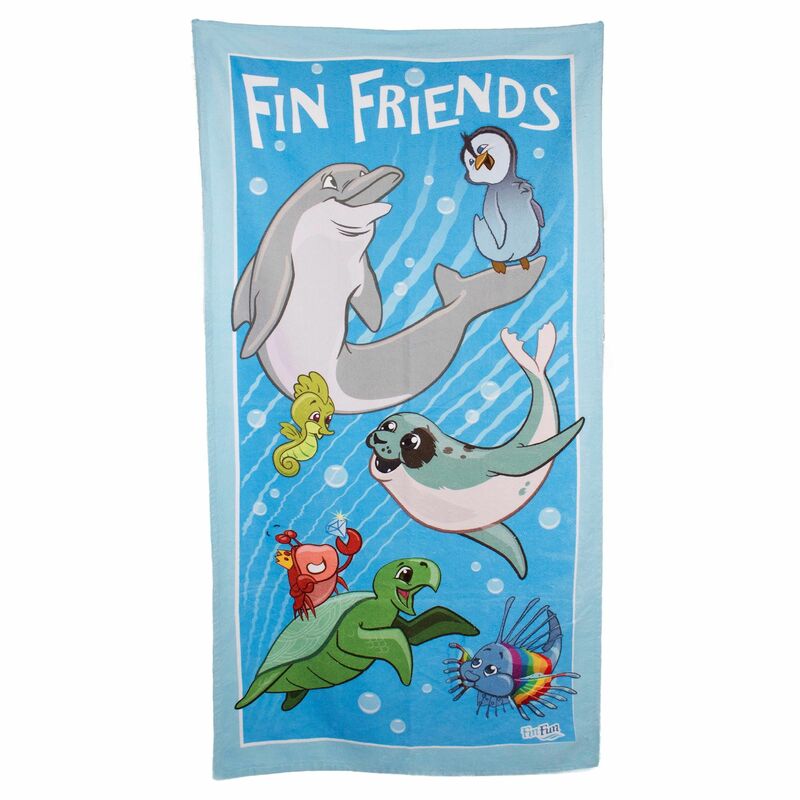 Now you can take your FinFriends with you anywhere! This one-of-a-kind Fin Fun branded beach towel features Fergus, Bubbles, Pepper and the rest of the Mermaidens' adorable pals. Go ahead, make a splash!